The Italian city of Venice has selected Project Automation to implement Nedap’s smart parking solution to improve on-street parking. Nedap – leading specialist in vehicle detection technology – developed SENSIT. 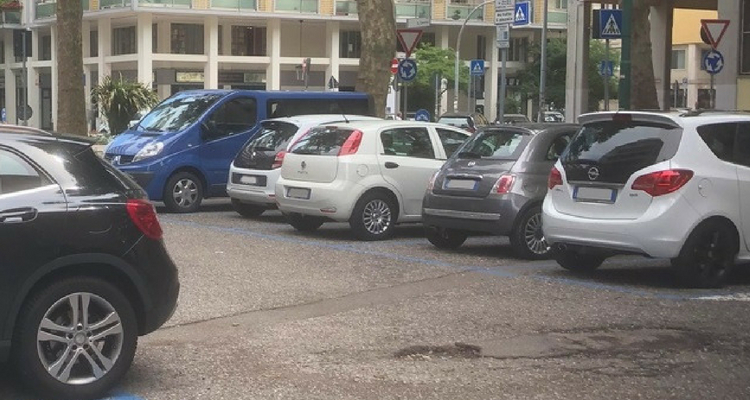 This sensor based vehicle detection system is implemented at a total of 1949 parking bays in two paid parking zones in Venice. SENSIT enables motorists to quickly find an available parking spot by using dynamic signs alongside the streets that display parking availability. Project Automation, Nedap’s certified wireless vehicle detection partner in Italy, is responsible for the implementation of SENSIT in the city of Venice. The Italian partner AVM developed a dedicated parking app. Venice, famous for its canals and gondolas, is a very popular tourist destination. Due to its historical city centre, parking areas are limited. On the mainland, in the Mestre area, Venice has over 2000 parking bays. To easily guide tourists to these parking bays, the WES solution from Project Automation was selected. This system uses Nedap’s SENSIT: smart parking sensors that detect whether or not a specific parking bay is occupied and for how long. The real-time parking occupancy data optimizes the parking and payment process. In addition, this data is used for the development of the city’s mobility policy in the future. Intensive testing earlier this year proved that Nedap’s SENSIT is highly accurate and robust. Mobile parking app Nedap-partner Project Automation is responsible for the city wide implementation of the ICT solution for smart parking. AVM – also a partner – developed a dedicated app that can be used by motorists to help them find an available parking space effectively and ensuring a smooth running mobile payment process. Evidently, payment at parking meters is also available. The SENSIT-project in Venice is part of the POM Metro project, which is based on the European Union Horizon 2020 initiative, in order to improve mobility in cities.